Karrox Technologies was started in the year 1992. It is located in Mumbai, the financial capital of India. 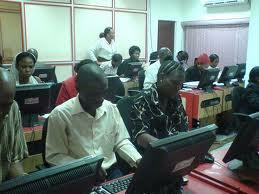 The institute provides latest and highly advanced training in the IT, BPO, and Mobile Telephony industry. The institute trains and develops its students so as to get the best possible position in the corporate world. 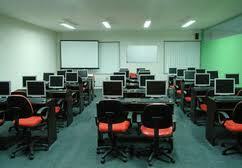 It trains its student by international standards of quality, employee efficiency and productivity. It has 6 corporate owned centers and 50 franchisees across the country. The centers of Karrox are equipped with state-of-the-art infrastructure to deliver quality training on Cisco Certified Internetworking Expert (CCIE). The rich experience of the institute is now positioned as the one-stop IT Training Mall. Students of KARROX have access to a unique Life-Long Learning Advantage and associated skills development services, even after they complete their course at KARROX. This institute provides excellent staff faculty for students encouraging them to understand the needs of industry and providing them right focus on it. .Net is a broad range of personal and business technologies, enabling you to access and use important information, whenever and wherever it is needed. * Industry recognition of your knowledge and proficiency as a software developer with Microsoft products and technologies. * Related job titles after completing certification include programmer, programmer/analyst and software developer. The A+ Certification has significant industry recognition. It is a part of the certification track for corporations such as Microsoft, Hewlett-Packard, Cisco and Novell. Other technology companies, including CompuCom and Ricoh, have made CompTIA A+ certification mandatory for their service technicians. * What is an Operating System? Having identified the potential of mobile technology, we have launched a comprehensive training program on mobile technology. This complete hands-on training program is aimed at developing and honing relevant skills for expertise in mobile technology. The total duration of this course is 160 Hrs with 100% placement assistance and personality development modules. kTEL’s training program drives a concept based, hands-on training approach. By completing this training program, trainees can build applications and services for programmable mobile phones. This is a 3 month course, every alternate day for 2 hrs. IT provides inputs in all key areas of networking and is a judicious blend of various relevant technologies. The advanced Java training program from Karrox has been developed for Sun Certified Java technology programmers, who want to develop enterprise applications that conform to the J2EE platform standards. The program is geared towards training programmers specializing in the application of JavaServer Pages and servlet technologies used to present Web services and dynamic Web content using Java 2 Platform, Enterprise Edition (J2EE technology). The C and C++ training program from Karrox has a broad scope ranging from fundamentals to advanced programming. This course is the basic entry point for a career in software. The CCNA certification (Cisco Certified Network Associate) indicates an apprentice level knowledge of networking. CCNA certified professionals can install, configure, and operate LAN, WAN, and dial access services for small networks (100 nodes or fewer), including but not limited to use of these protocols: IP, IGRP, Serial, Frame Relay, IP RIP, VLANs, RIP, Ethernet, Access Lists. At Karrox, we train you for this examination. We have kept pace with technology and always offered courses required by global industry and have the reputation of having produced the largest number of CCNAs and CCNPs in India. CCNA certification is of great benefit to help desk engineers, field technicians and beginning networkers. Among the most sought after certifications, it can enhance career prospects in the networking field. The CCNP certification (Cisco Certified Network Professional) indicates advanced knowledge of networks. With a CCNP, a network professional can install, configure, and troubleshoot local and wide area networks for enterprise organizations with networks from 100 to more than 500 nodes. The content emphasizes topics such as security, converged networks, quality of service (QoS), virtual private networks (VPN) and broadband technologies. At Karrox, we train you for this examination. We have kept pace with technology and always offered courses required by global industry and have the reputation of having produced the largest number of CCNAs and CCNPs in India. CCNP certification is of great benefit to network engineers and network technicians. Among the most sought after certifications, it can enhance career prospects in the networking field. CCSA (Checkpoint Certified Security Administrator) is the entry, fundamental level of certification that validates a candidate's ability to configure and manage fundamental implementations of Check Point's flagship product, FireWall-1, as an enterprise level Internet security solution to protect corporate networks. Recognized as the industry standard for internet security certifications, CCSE (Checkpoint Certified Security Expert) is among the prime value-adds for a security professional. This certification is designed for network and security administrators who need to implement and maintain virtual private networks (VPN) with CheckPoint's FireWall-1. Intensive encryption, firewall and VPN skills are provided with this certification. * CCSEs possess the knowledge and expertise to configure Checkpoint’s VPN-1/FireWall-1 as an Internet security solution and virtual private network (VPN) that securely connects corporate offices and remote workers, protecting information exchange and granting access to network resources. CCSE training and testing builds on CCSA training by including an in depth study of encryption technologies and how to implement site-to-site and remote access VPNs. CCSEs are also tested for skills to configure content security by enabling Java blocking and anti-virus checking. * Certified professionals gain access to newsletters and an extensive database of the latest answers, tips, and troubleshooting solutions covering all Check Point products. Last but not the least, on passing the exam students receive a certificate from Check Point and earn certification logo rights to identify and promote yourself as a Check Point Certified Professional. The CCSP (Cisco Certified Security Professional) curriculum thus emphasizes secure VPN management, Cisco Adaptive Security Device Manager (ASDM), PIX firewall, Adaptive Security Appliance (ASA), Intrusion Prevention Systems (IPS), Cisco Security Agent (CSA), and techniques to combine these technologies in a single, integrated network security solution. Cisco certification adds validity to an individual's achievement, increasing the holder's professional credibility by ensuring high standards of technical expertise. Cisco CCSP certification indicates knowledge of Cisco security products and technologies, as well as the skill to use them to build integrated network security solutions. Once certified, membership benefits include various promotional tools such as a certificate of accomplishment, a wallet card, logo and designation for promotion to clients or potential employers and Access to the secure Cisco on-line tracking system for downloading logos, and tracking Cisco certification progress throughout the professional career. The ability to communicate in fluent, globally accepted English is a growing need for many corporate and public sector employees. While your schooling and higher education can provide a basic understanding of the English language, KITES can help you improve your ability to interact with colleagues and clients more effectively in a professional world. Get the best start to your Career In the IT world today there is a serious lack of trained professionals with the desired skill sets to take on the ever increasing demands of an industry which has been marked by sustained double digit revenue growth. The IBM Career Education in IBM Software (CEIS) program is the ideal educational solution to prepare fresh graduates and career professionals for today’s information technology demands, helping them to acquire all the skills, education and experience they need to build successful careers in this industry. CEIS brings together existing IBM Software Education courses into a simple and coherent program targeted for specific career paths. Choose a suitable career path for yourself by following the courses on offer that are designed to launch your “Global Career”. The curriculum design incorporates a “blended learning” approach by integrating classroom, hands-on lab exercises and team projects to provide students both the theoretical and practical training needed to build strong database administration, e-business administration, application development and testing skills. This training program from Karrox is conducted in a highly interactive environment where students are shown how to scan, test, hack and secure their own systems. The lab intensive environment gives each student in-depth knowledge and practical experience with the current essential security systems. Students begin by understanding how perimeter defenses work and then are lead into scanning and attacking their own network; no real network is harmed. Students then learn how intruders escalate privileges and what steps can be taken to secure a system. Students will also learn about Intrusion Detection, Policy Creation, Social Engineering, DDoS Attacks, Buffer Overflows and Virus Creation. Karrox Certified Ethical Hacker course mission is to educate, introduce and demonstrate hacking tools for penetration testing purposes only. Prior to attending this course, you will be asked to sign an agreement stating that you will not use the newly acquired skills for illegal or malicious attacks and you will not use such tools in an attempt to compromise any computer system, and to indemnify karROX with respect to the use or misuse of these tools, regardless of intent. This course significantly benefits security officers, auditors, security professionals, site administrators, and professionals responsible for the integrity of the enterprise network infrastructure. With this intensive 5 day training program students have hands on understanding and experience in Ethical Hacking. After completing Level I the student gains acquaintance of the Linux environment. He/she also learns how to install this operating system. Level II equips students to appear for RHCT (Red Hat Certified Technician) or LPI (Linux Professional Institute) exams which will certify him/her to be a system administrator. The programme emphasizes the application of software technology to solve mathematical, computing, communications/networking and commercial problems. This Master's Degree Programme has been designed with a semester approach in mind. "karROX has been an authorized Gold Training Partner of Microsoft for imparting training on Microsoft Technologies. With its centers across India and globally, karROX has proved to be one of the best IT training centers. * A range of courses - short-term and long term - to fit training needs. CompTIA or the Computing Technology Industry Association is a leading global IT trade association with influence in all areas of the IT industry. With more than 20,000 members in 102 countries, the association has been promoting IT since 24 years. The N+ Certification from COMPTIA is an international, vendor-neutral certification that recognizes a technician's ability to describe the features and functions of networking components and to install, configure and troubleshoot basic networking hardware, protocols and services. Although not a prerequisite, it is recommended that CompTIA Network+ candidates have at least nine months of experience in network support or administration or adequate academic training, along with a CompTIA A+ certification. Data is a collection of raw information and data management is required to convert raw information into readable and understandable information for the end user. * Read – Only Database: Internet search engines, On-line Card catalogues, Airline Reservation systems. * Flat-file DBMS: Foxpro, C, Focus etc. * RDBMS: Oracle, Sybase, Ingress, Informix, Paradox, Access, SQL Server, DB2 DBMS packages come in all flavours, from fairly straightforward point – and click to cryptic but very powerful programming languages. Telecommunication encompasses any communication over a distance, be it via telephone, television, radio, wireless network, computer network or telemetry. In current times, these different media are “converging” – one can send email, sms messages, and play videos on the cell phone itself. Services include running the switches that control the phone systems, providing internet access, and configuring private networks by which international corporations conduct business. Software makes it all work, from sending and receiving emails to relaying satellite data, to controlling telephone switching equipment to reducing background noise on your cell phone call. One of the most significant features of growth in telecom industry is the explosive growth in the number of cellular connections. India has emerged as the second largest market after China for mobile phone handsets. One of the biggest successes in mobile services is the SMS text messaging. With multiple sectors within the telecom sector poised for further growth, the telecom industry offers immense growth opportunities to professionals who can learn fast and adapt quickly. - Supporting the Microsoft Windows Vista Operating System and Applications.